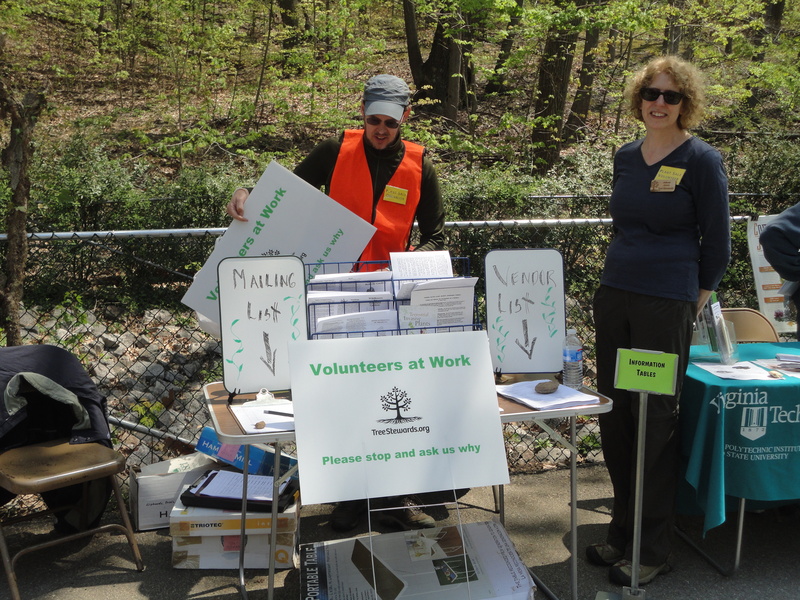 Earth Day is just another day to volunteer for TreeStewards. This year members were involved in tree plantings at Tarleton Park in Alexandria, at homes in Falls Church, and along the streets of DC. 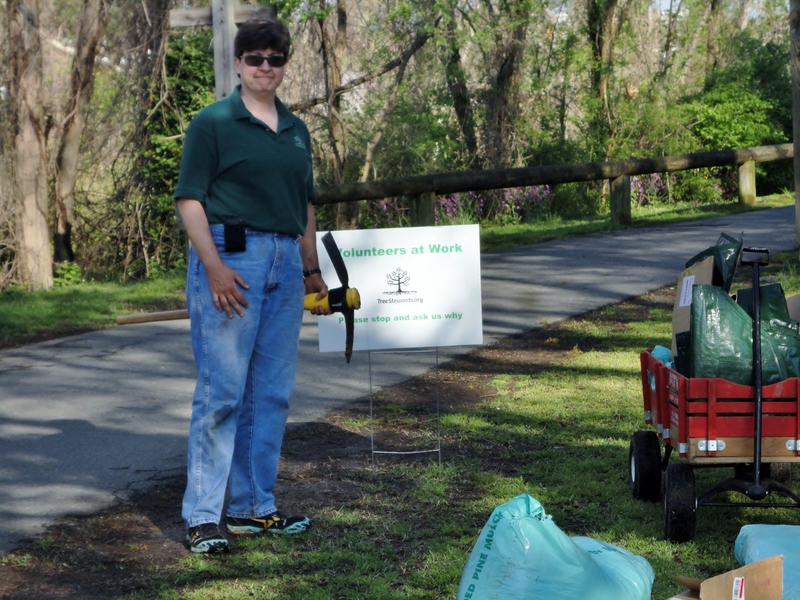 Volunteers staffed tree sales in Parkfairfax and Ben Brenman Park, and assisted with invasive plant removals throughout the region. 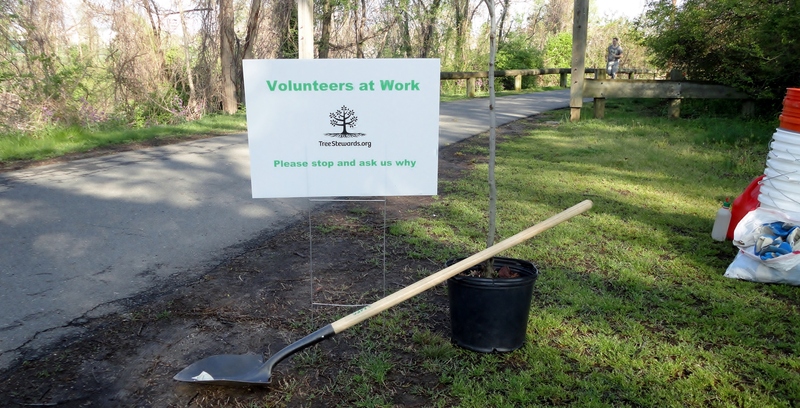 The new signs announcing a TreeSteward work event were effective at their debut in Alexandria with several stopping to talk and thank the volunteers. And three people who were just passing by on walks stopped to help haul materials and one person wielded a pick axe through some tough rocks! We look forward to having them increase our educational outreach at future events. This entry was posted in Community Service and tagged volunteering. Bookmark the permalink.